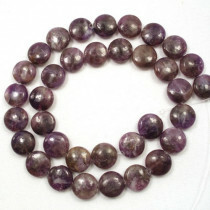 An uncommon mica which has only become available in large quantities in the past decade as the nature of the stone makes it difficult to cut. 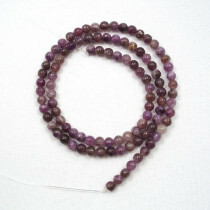 Its name originates from the Greek lepidos (scale) lithos (stone). 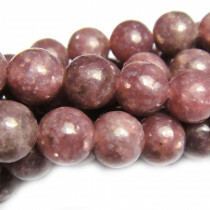 Sometimes incorrectly referred to as Chinese Charoite. 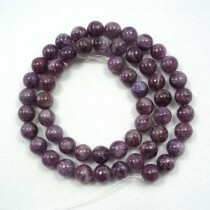 Referred to as the “Peace Stone” as it is believed to attract peace, luck and happiness and drives away negativity. 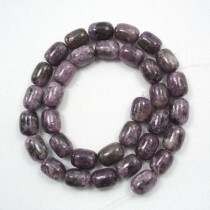 Lepidolite Stone Coin (12mm 33pce Strand) - 40 cm /16'" Strand. 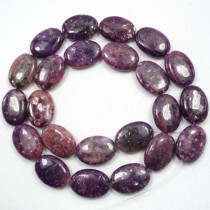 Lepidolite Stone Oval (13x18mm 22pce Strand) - 40 cm /16'" Strand. 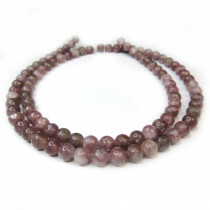 Lepidolite (A Grade) Stone Round Lepidolite 4mm (~100pce Strand) - 40cm /16'" Strand. 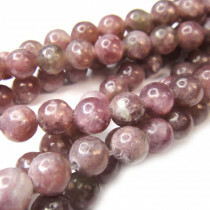 A very pretty soft mauve colour. 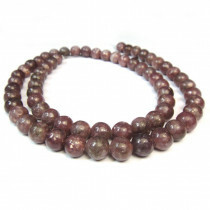 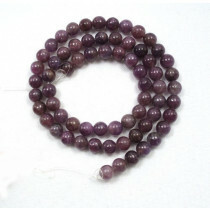 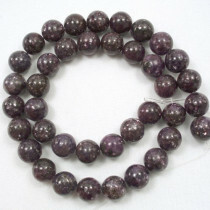 Lepidolite (A Grade) Stone Round 6 mm (66pce Strand) - 40 cm /16'" Strand.